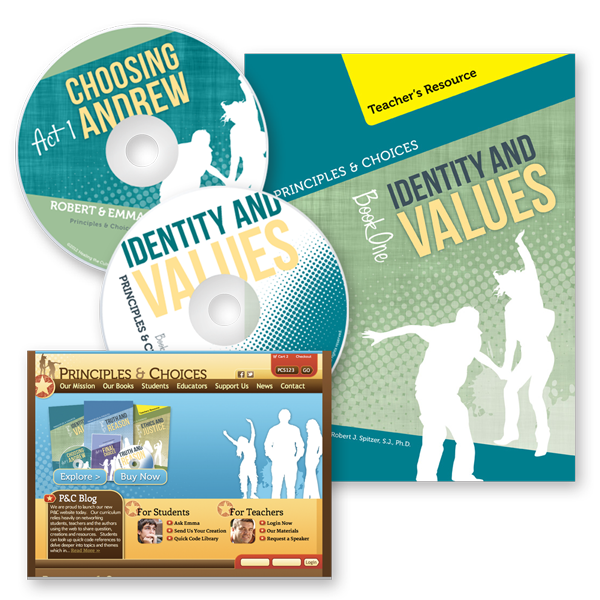 Includes teacher textbook; Robert & Emma Act 1 audio drama CD; PowerPoint CD with lecture notes; and one year FREE access to secure online teacher site. Teacher’s Resource Texts, including detailed daily learning plans, text notations, and Scripture and Catechism cross-references. Paperback, four chapters, 164 pages. PowerPoint Slides with complete lecture notes. One presentation is included for each chapter of the book. Audio Drama on CD. Robert & Emma, Act 1: Choosing Andrew, professionally produced as an audio play. 30 minutes. FREE Subscription to Secure Teacher Site with handouts and assignments, alternative activities, exams and answer keys.